Planning a trip to Florence or Barcelona? Before you book that round-trip flight, you may want to check out Kayak's 2018 "Flight Hacker Guide," which helps travelers save money on airline tickets. As Travel + Leisure reports, one of the quirks of the airline industry is that it's sometimes cheaper to book two separate one-way tickets as opposed to a round-trip package. Whether or not you stand to gain from this approach depends on the city you're traveling to, as well as the departure airport. When traveling to certain destinations—like Colorado Springs and Memphis, Tennessee—you can save more than 11 percent by booking two one-way tickets, according to Kayak's analysis. To save travelers both time and money, Kayak compiled a list of the top 10 international cities and top 10 U.S. cities where travelers will save the most by booking two one-way tickets instead of round-trip tickets. The lists are based on search results from Kayak's U.S. website between June 2017 and June 2018. The Flight Hacker Guide also shows the median airfare for each city, broken down by month, so you can see when it's cheapest to fly. Florence is the best city to book separate tickets to, and with a median airfare of $720, February is the cheapest time to go. If you're planning to take this approach, Kayak has a few words of advice on booking each flight separately: "Since there are multiple bookings, it is important to verify fares and availability for each flight before completing any purchase. Hacker Fares tickets are sold with different airlines and subject to each airline's booking terms, including changes to itineraries." Looking to visit a city that isn't on the list, but still want to snag a good deal on flights? 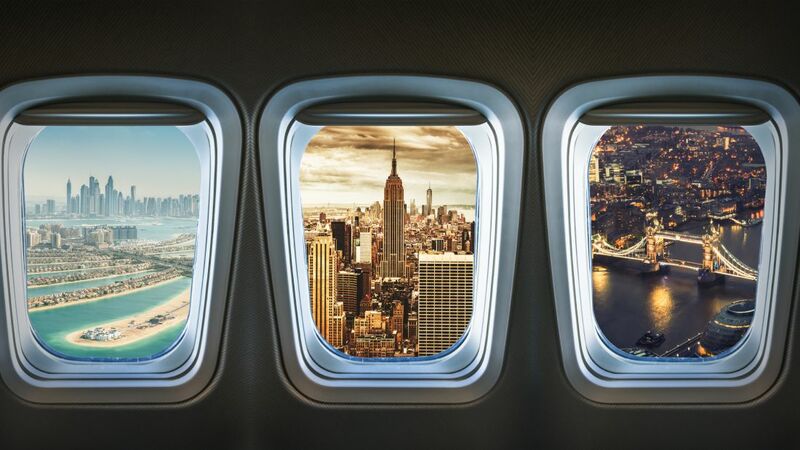 Check out our guide to "hidden city ticketing"—a sneaky way to save money by booking a multiple-stop flight and then skipping the last leg of your journey (as opposed to flying directly to where you really wanted to go in the first place).